This double A-sider takes you on a trip into deeper territory. First up is Mosquito with its chunky and simple groove. It features some ethnic inspired elements and a touch from nearly every corner of the Globe. 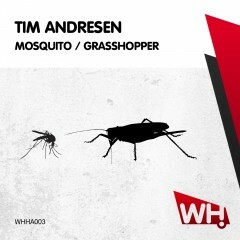 For deep house lovers Grasshopper should be the choice. Laidback beats, atmospheric pads and a Balearic feel.